At Bhalla International - Vinex, we encourage kids to be physically active and fit. We are committed to bring you high quality, colourful, creative, fun and safe tents and tunnels. Each Item provides highly interactive and creative play environments for your child alone or with friends. 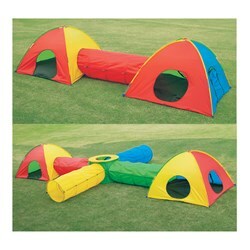 Let your child's imagination run wild with our great range of children's play tents and tunnels. Encourage your child's development of co-ordination, balance and strength as they crawl through play tunnels to a safe and secure pop up tent. We are manufacturing and supplying a wide range of Play Tents and Tunnels for your kids. 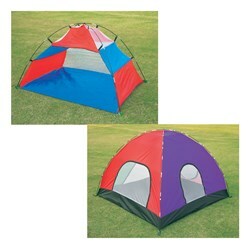 These Tents and Tunnels are made of PU coated fabric and are perfectly suitable for your kids. 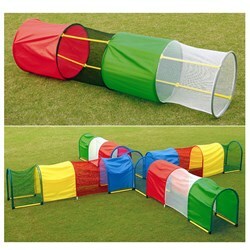 Let your children's imagination run with these colorful, creative and fun filled Play Tunnels.